We have moved to a new location for our North Port office - as of June 4, 2018. Please call 941-485-3302 to set up your appointment today! 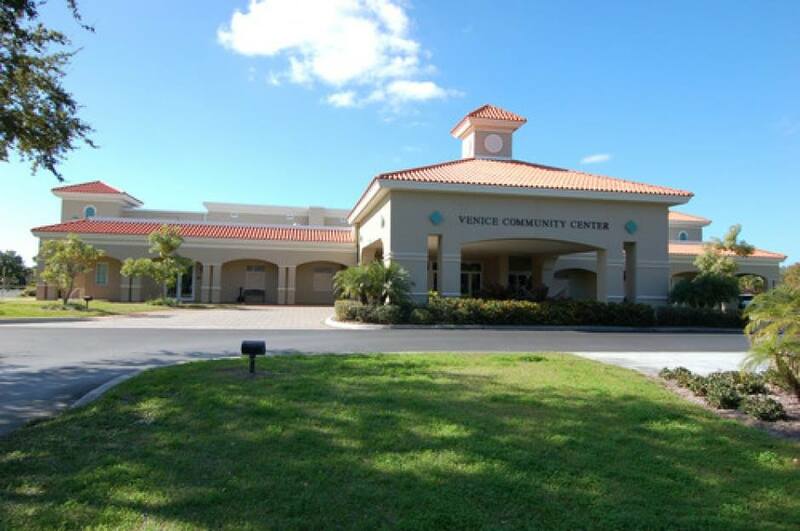 North Port appointment hours are Tuesdays with Dr. Tracy Ng. 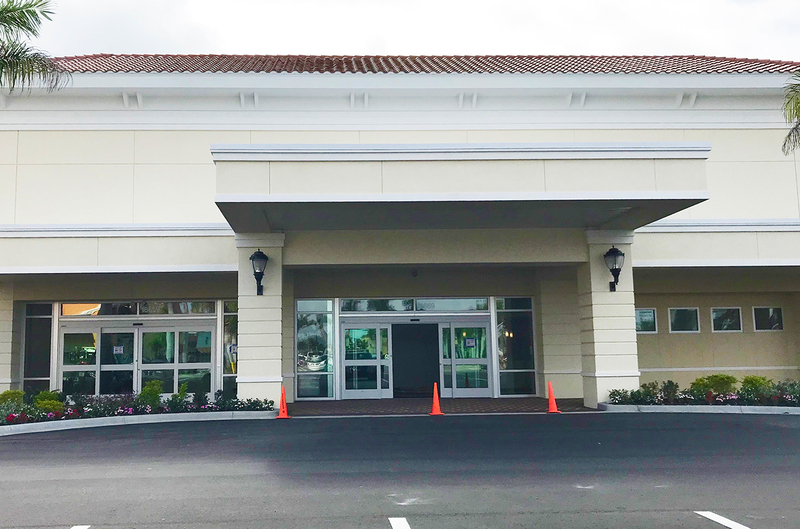 Our office is part of the Bayfront Health Medical Group building located at: 18669 Tamiami Trail, North Port, FL 34287, located in the Cocoplum Village Plaza. It will be left next to Kirkland's. Venice Fall Wellness Fair – 8th Annual – Weds Nov 9, 2016 – Free Admission! 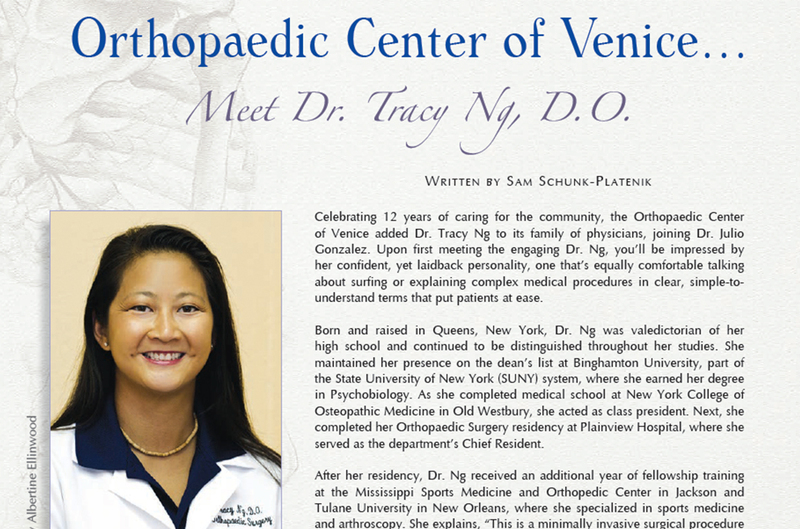 Dr. Tracy Ng was named Northport High School Team Physician! Check out Dr. Tracy Ng’s article on “Arthroscopic Distal Triceps Repair” published in August 2016 issue of Arthroscopy Techniques. 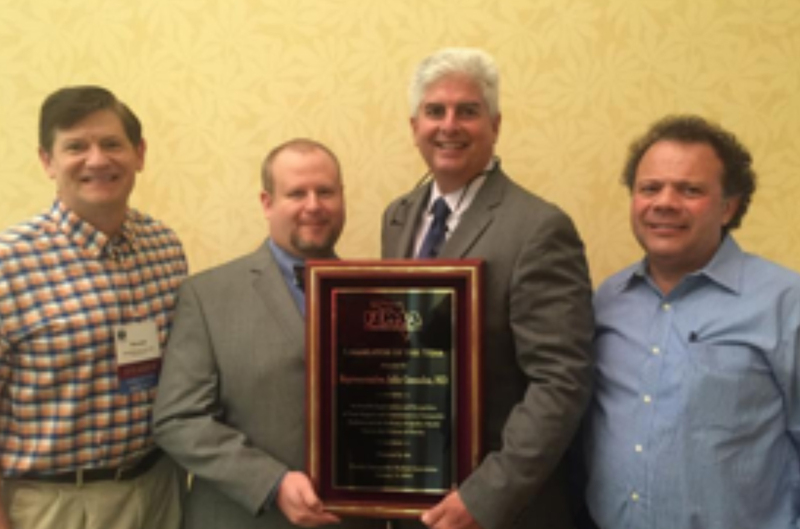 Florida Osteopathic Medical Association (FOMA) presents the Legislator of the Year Award to Representative Julio Gonzalez, MD! Congratulations!